Contracted Cadets may compete for training opportunities conducted at Active Army Schools. This training is usually conducted during the summer months but some allocations are available during the winter holidays. Cadets are selected to attend this training based on their overall standing within the program. Since the number of allocations are limited, selection for schools is competitive and based on factors including Order of Merit ranking, ROTC grades, academic grades, participation in ROTC activities, APFT scores and cadre recommendations. Army paratrooper training is conducted for three weeks at Fort Benning, GA. Upon successful completion cadets are awarded the Parachutist Badge. This training qualifies the Cadet to be a US Army Paratrooper. Cadets are trained in airmobile operations, including rappelling from helicopters, airmobile tactics and rigging air mobile cargo. This is a two-week course taught at Fort Campbell, KY or Fort Rucker, AL. Upon successful completion, the cadet is awarded the Air Assault Badge. Cadet Troop Leadership Training is an optional program for MSIII cadets during the summer following completion of LDAC. This three week CONUS or 4 week OCONUS program trains Cadets in lieutenant positions with active Army and Reserve component units. Assignments are available in nearly all branches and with units world wide. Drill Cadet Leadership Training (DCLT) is a 4-week program that provides cadets an opportunity to apply leadership skills, interact with highly skilled and experienced Noncommissioned Officers (NCOs) and drill sergeants, and improve common task skill proficiency in an Army training environment. 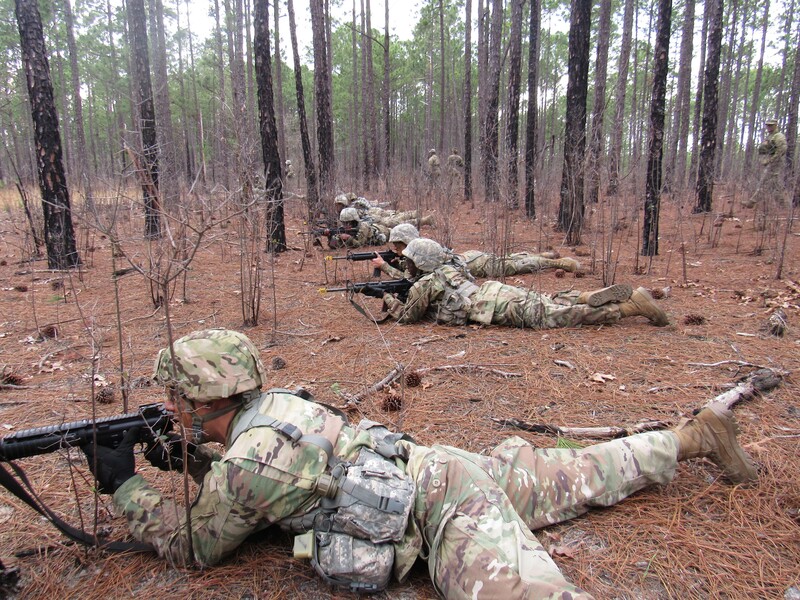 Cadets serve in positions with the cadre of Initial Entry Training (IET) and One-Station Unit Training (OSUT) units -- Basic Combat Training. Non-SMP MSL III cadets are assigned to the DCLT program by their professor of military science and must successfully complete the Leader Development and Assessment Course (LDAC) before proceeding to their assigned position. The DCLT program does not require an application. All DCLT positions are linked to a specific regiment of LDAC. As a result, attendance to the specific regiment is mandatory. The assigned regiment will not be changed to accommodate personal situations. LDAC will be followed by a mandatory one-week TRADOC Cadre Training Course and then a three week utilization-tour with a IET or OSUT battalion or company. Cadets can expect to interact closely with drill sergeants, basic training soldiers, and support personnel. This is an 4-week program of instruction executed by the United States Military Academy to develop the leadership skills of sophomore cadets. Seven weeks of CFT will be at Camp Buckner, with one week at Fort Knox, KY for Mounted Maneuver Training (MMT)(Cancelled in 2010). CFT consists of basic skill level training ending with Maneuver Light Training where the cadets train on how to defend and attack an opposing force. An initiative of ASA/MRA, allows cadets to work with Department of the Army (DA), OCAR, NGB, and OSD for 3 weeks. Immersion into foreign cultures exposes Cadets to the realities that other countries have vastly different lifestyles, economic standing and world perspective. Cadets travel in small groups led by senior leader cadre. Trips typically incorporate approximately 20 Cadets and a cadre member traveling in conjunction with a civilian agency or non-governmental agency. The trips last approximately one month, which encompasses the deployment as well as a five-day Soldier readiness process. CULP slots are awarded on a competitive basis and take into account several factors, such as GPA, physical fitness, an essay, and other pertinent selection criteria.